Mesotherapy is the non-surgical cosmetic solution for the problems like cellulite, excess weight, body contouring, facial rejuvenation and hair loss. This procedure has been done with injections of various FDA approved medicines, minerals and vitamins. In the procedure, injections are introduced into mesoderm means into the layer of fat and tissue underneath the skin and quantity of the mixture of injection is determined according to each individual case and area treated. WHO CAN GET THIS TREATMENT ? This treatment is suitable for all ages’ males and females. 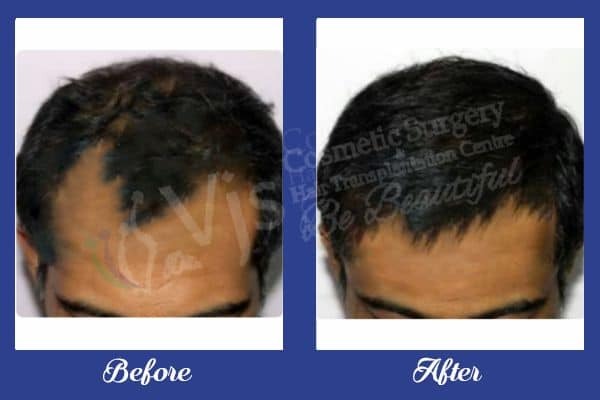 If the patient is suffering from severe hair loss problem like pattern baldness then even this option can be chosen for rejuvenation and restoration of hair. Even the patients that have patchy hair loss, thinning of hair, progressive baldness can go for this treatment. It means the patients that are suffering from any kind of hair loss can go for this effective mesotherapy in Visakhapatnam. It is the non surgical, painless and non-invasive treatment for the alopecia or baldness, this treatment can give feasible results with hair restoration in both men and women. Dr Vijay Kumar is specialized in providing Mesotherapy in Andhra Pradesh to his patients that really work positively on the bald areas and restore the head full of hair. During the procedure, specialized injection like a cocktail is used to inject in the affected areas of the scalp and these vitamins give the boost of essential vitamins to the scalp and improve the blood circulation in the area. Improved blood circulation nourishes the hair follicles in a better way and leads to the growth of them. This specialized cocktail has been injected in the scalp with the injection gun rather than injecting it with hands. This makes this hair loss treatment more effective, faster and painless. Injected injections are called the Mesotherapy solutions so after some time this solution starts working and neutralizes the DHT hormone which is the root cause of the hair loss problem. After the balancing of this hair loss hormone hair starts growing. A number of sessions required for the Mesotherapy depend on each individual case, Dr Vijay recommends the sessions after examining the extent of baldness inpatient. Generally, the patient is given 4-5 sessions in 4-5 months and after that the patient can get the actual results. HOW TO MAINTAIN HAIR AFTER THERAPY? This effective therapy works effectively for each patient and even can be taken as the option in place of other surgical treatments. However, the doctor gives some instructions to the patient for the better results like to maintain proper diet without toxins and the healthy exercise program.